Sifting for clues to cancer by combining genomic and clinical data is the goal of a new information platform launched today by healthcare technology developer Flatiron Health and oncology-focused molecular information company Foundation Medicine. The companies have co-developed the Clinico-Genomic Database, an information platform designed to help researchers and biopharmas speed up development of targeted therapeutics and immunotherapies. The Database links Foundation’s genomic profiling data from nearly 20,000 patients sequenced through the company’s comprehensive genomic profiling assays, with Flatiron’s longitudinal data detailing clinical treatments and outcomes, derived from patient electronic health records (EHRs), Vineeta Agarwala, M.D., Ph.D., a director of product management with Flatiron, told Clinical OMICs. That linkage of clinical and genomic data, she said, will distinguish the Database from current genomic data repositories designed to support precision medicine, such as the National Cancer Institute’s Genomic Data Commons (GDC). As of November 1, the GDC consisted of data on 38 types of cancers collected from 14,531 cases. 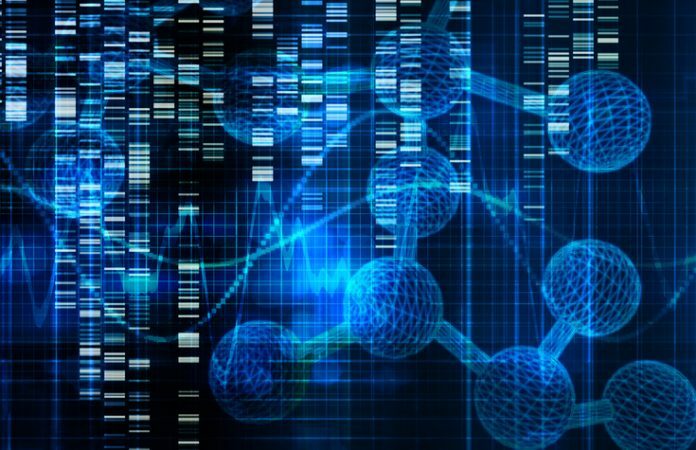 In June, Foundation Medicine agreed to furnish genomic variant data for 18,000 cancer cases to the GDC, which will bring the repository to more than 30,000 cases. Information collected within the Database will include anonymized, HIPAA-compliant, research-grade data across multiple types of tumors. The Database will focus first on non-small cell lung cancer, where standard of care already includes targeted therapies for patients with EGFR and ALK mutations. “It's a natural place for us to start, both to validate what's already known about precision care in this tumor type, and also to extend findings in new directions for patients who may have alterations that are not yet eligible for any targeted therapies,” Dr. Agarwala said. That may be the case, she added, because for some alterations, targeted therapies either don't exist, or because patients may not recognize that they could benefit from targeted therapy. Flatiron’s clinical data will be captured through its EHR data collection platform, which builds upon its OncoCloud suite that includes OncoEMR, an EHR tailored to cancer care providers. Doctors can collect data via OncoEMR or through other EHRs that are integrated with Flatiron’s system. FoundationACT, a blood-based circulating tumor DNA assay designed to interrogate the 62 cancer-related genes deemed to be most druggable. “The data includes all types of alterations: short variants, insertions, deletions, rearrangements, copy number changes, amplification—any type of genomic alteration that's discovered across these 400 genes,” Dr. Agarwala said. Users of the Database will be biopharma companies and academic research institutions, none of which the partners have disclosed. Flatiron and Foundation Medicine say the comapnies envision the Database as the first of several collaborations. The companies are also exploring partnerships with research and academic partners that will be designed to accelerate use of the Database for novel drug development and clinical trial applications. The Database’s clinical data could prove especially valuable. No more than 5% of cancer patients enroll in clinical trials, the Institute of Medicine (now National Academy of Medicine) reported in 2010, citing estimates from past research. More recent reports have quoted figures of 3% or 4%. “What this effort is trying to do is say, lets rescue that 96% of patients who aren’t able to contribute to research today, and learn something from their trajectory and their experience,” Dr. Agarwala said.